In the tradition of ‘littérature engagée’ and the novel of ideas, this workshop is about identifying what it is you want to explore on a deeper level in your work and how to do this effectively. As Sartre once said, ‘commitment must not under any circumstances cause literature to be forgotten’, so we will practice techniques for incorporating ideas in your writing - philosophical, ethical, political – staying true to the story and its characters without distancing the reader or being preachy. how to become more engaged with the world and ideas through your writing practice. 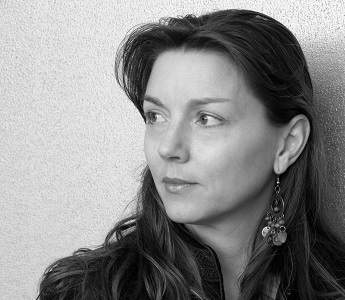 Lia Hills is a Melbourne-based novelist, poet and translator. Publications include her novel ‘The Beginner’s Guide to Living’, shortlisted for the Victorian, Queensland and West Australian Premier’s Literary Awards, and her prize-winning poetry collection ‘The Possibility of Flight’. She has written about and translated works by Marie Darrieussecq and Alain Badiou. Lia’s latest novel, 'The Crying Place', set mostly in Arrernte and Pitjantjatjara country, is a story about grief, place and Australia’s fraught relationship with its past.